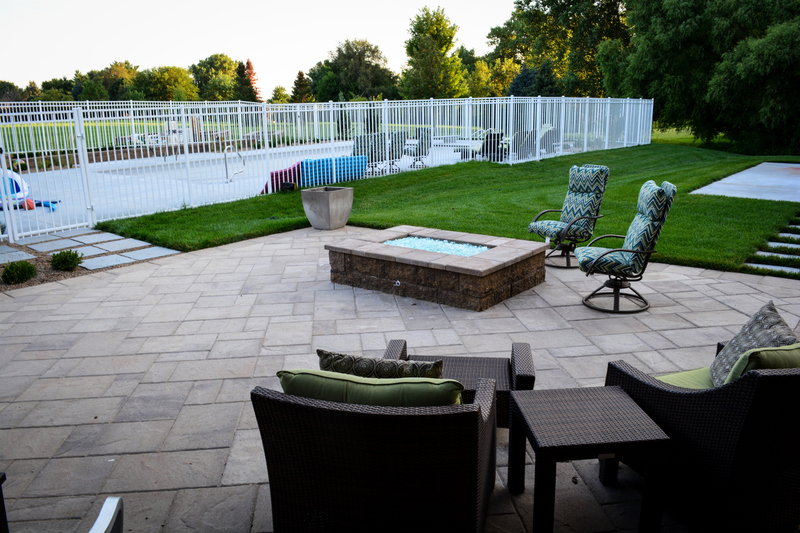 This acreage home just outside of Omaha, Nebraska was designed with modern outdoor entertaining areas. As you walk along the straight path leading to the front entry, it is a clear work of modern design. The clean lines and massing of simple plantings capture the style and vision bestowed on Breaking Ground from the first client meeting. The intersecting entry sidewalks and plant massing are softened by circular planting beds appropriately sized for this large property. Linear retaining walls hold up the drive hiding the change in elevation to the rear of the home and creating a level view from the street. 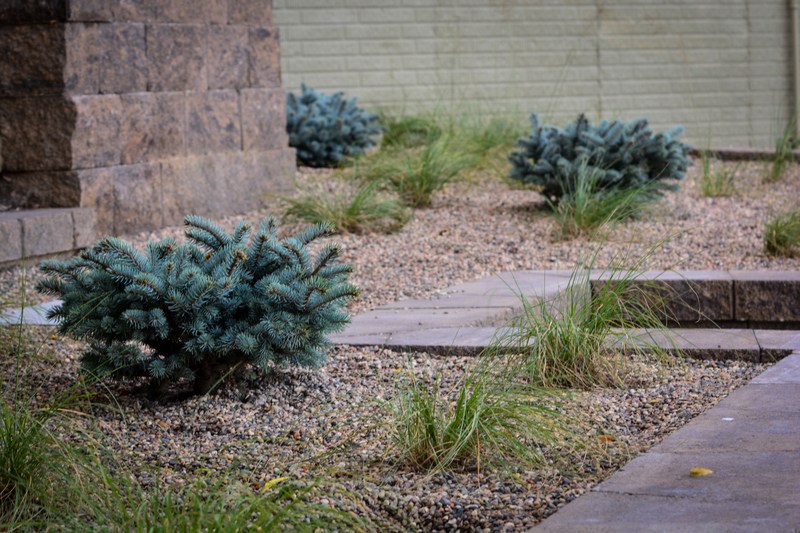 Columnar trees add dimension, balance, repetition and uniformity that magnify the curb appeal. 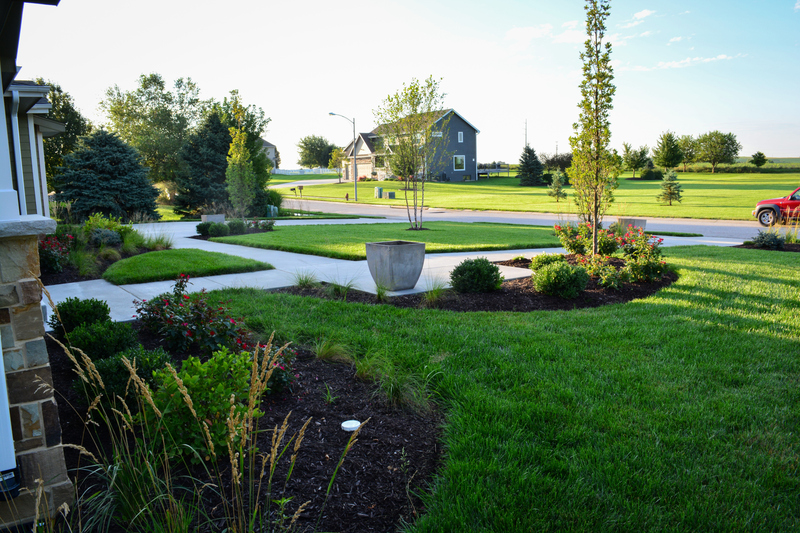 The contemporary plantings include Prairie Drop Seed and Feather Reed Grasses, Green Velvet Boxwood, Home Run Roses and Little Henry Sweetspire that keep within a restricted green, white and red color pallet. 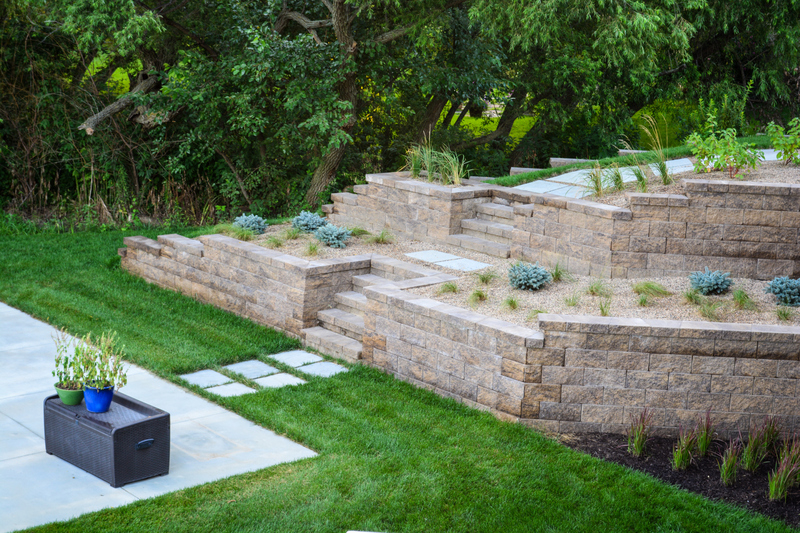 Modern planters sit along the walk on landing areas that alternate from side to side. 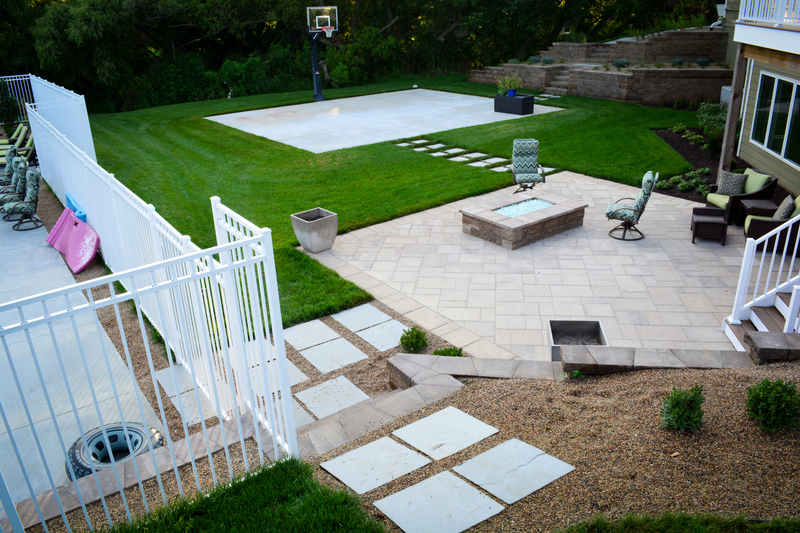 The bulk of the acreage spans the backyard which brought the potential for large outdoor entertaining areas including a swimming pool and basketball court. 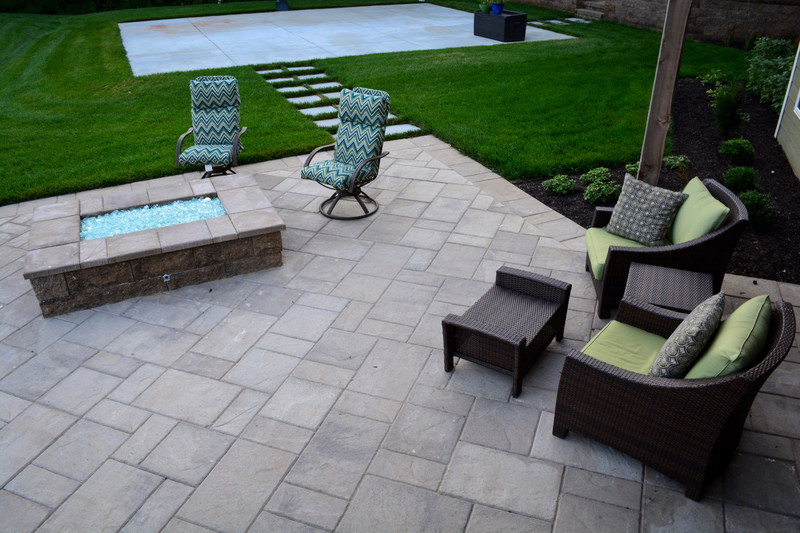 A set of steps descend from a large deck that land on a larger paver patio with a custom fire feature and plenty of seating fulfilling another of the client’s wishes. 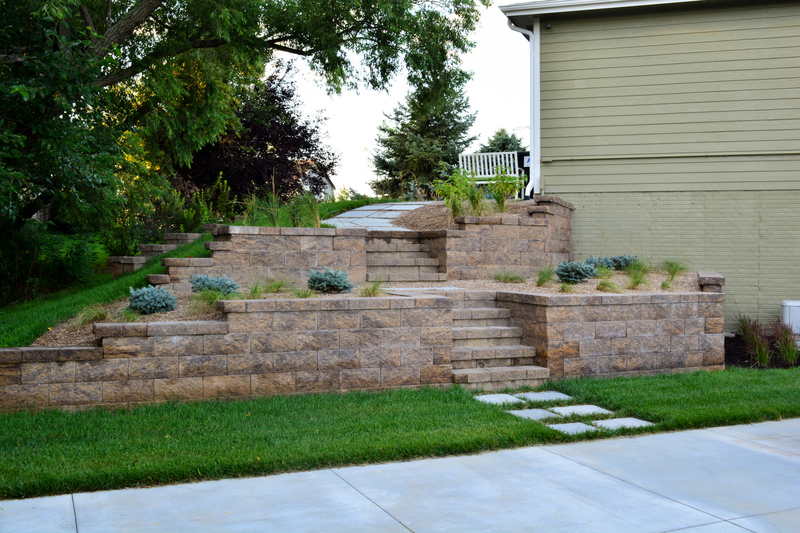 Tiered retaining walls with stairs and planting beds flank each side of the property. 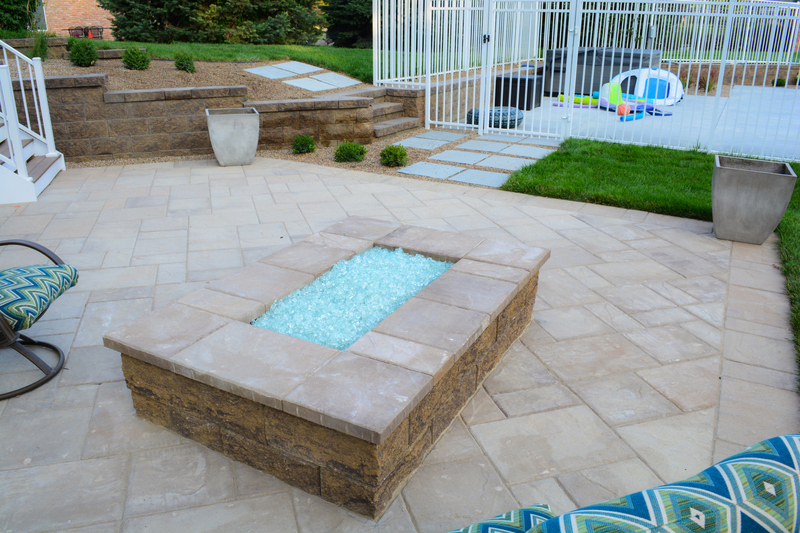 Behind the pool area are three 40′ x 10′ raised garden planters for the summer vegetable garden. In keeping with the modern design style, the land was laid out in straight lines at a 45 degree angle from the rear of the home. 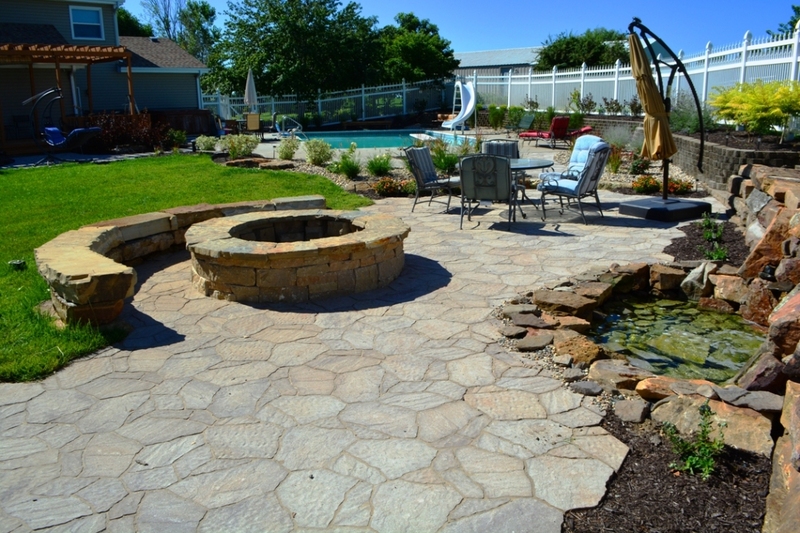 The patio, basketball court, swimming pool, retaining walls, and the garden beds follow this exact angle. Not only does this visually expand the space but relate the individual outdoor spaces to each other. 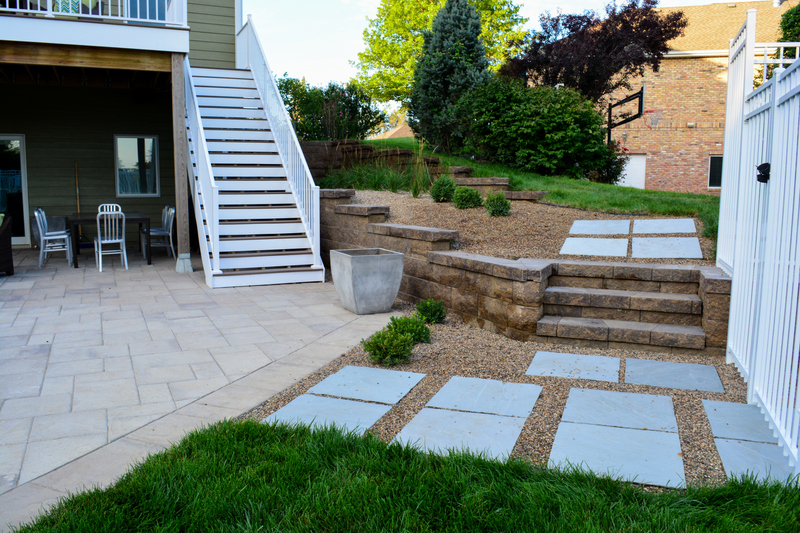 Following the 45 degree theme, natural cut stone pathways uniformly connect each outdoor room. 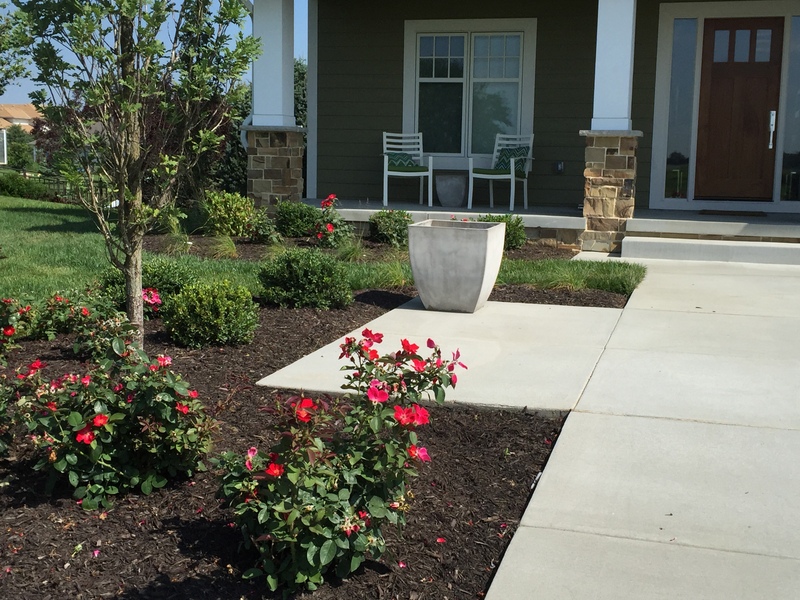 Ground cover includes Cocoa Brown Mulch and Pea Gravel in keeping with the clean modern design.